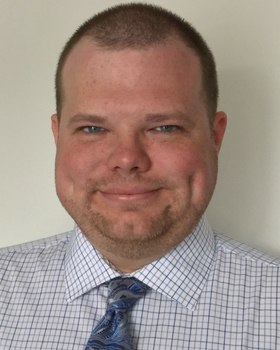 Derrick Freyman is a licensed clinical social worker with over 7 years of experience working with children, adolescents, adults, couples, and families. He specializes in helping people who struggle with a wide range of challenging issues such as depression, anxiety, and life adjustment difficulties as well as relationship problems, family dysfunction, and anger management. For your convenience, he offers counseling services both in the office and online via teletherapy. Derrick received his Bachelor’s degree in Psychology and Philosophy from Central Michigan University and his Master’s degree in Clinical Social Work from Michigan State University. He also has advanced training in couples and family therapy as well as dialectical behavior therapy and school social work. Derrick’s approach integrates aspects of cognitive behavior therapy (CBT), dialectical behavior therapy (DBT), and solution-focused brief therapy (SFBT). His primary focus is providing clients with relief, cultivating a safe and trusting environment, and working with each client to make a plan that works for them in supporting progress along their unique journey. Derrick understands the courage it takes to reach out for this kind of help and would be honored to join you where you are in life to take steps with you toward a brighter, more hopeful tomorrow.